© Loren Coleman, Cryptozoologist and Author, Mysterious America, Cryptozoology A to Z, and other books. The general public and media were captivated in 2013 by a wide variety of cryptozoological stories. Compared to previous recent years, the news items were generally more positive, if not sometimes only to be found in the strange and offbeat sections of your social media feeds. 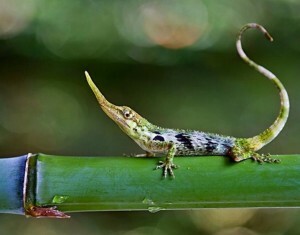 This year’s annual picks are cryptozoological events that became newsworthy or were announced during 2013 (even though, as actual discoveries, they may have been in the works from an earlier year or years). The following are the top cryptid-related tidbits of most interest to the public, cryptozoologists, hominologists, fans, friends, foes, and the media during the last year. The stories may not be the most groundbreaking, but they include some that garnered the largest media reaction and greatest public discussions concerning our favorite field of study in the last 12 months. 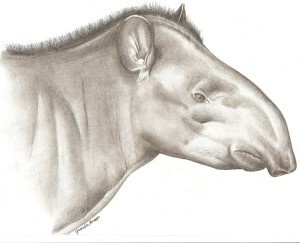 The remarkable confirmation of the largest land mammal since the discovery of the saola in 1992, and the first new tapir to be found since 1865, was certainly big news. Within a day or two of our early comparative overview, mainstream media were reporting the breaking announcement of this find. As part of the Oxford-Lausanne Collateral Hominid Project study of unknown hominoid hairs, human geneticist Bryan Skyes found an identity for two of his hair specimens pointing to the discovery of a new surviving ancient brown bear. One of the samples Sykes analyzed came from an alleged Yeti mummy in the Indian region of Ladakh, at the Western edge of the Himalayas, taken 40 years ago. 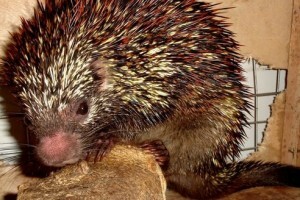 The other was a single hair found a decade ago in Bhutan, 800 miles to the east. 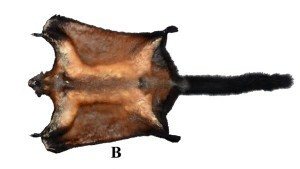 Sykes said the fact the hair samples were found so far apart, and so recently, suggests the members of the species are still alive. Both were brown hairs that were a 100% match to DNA from an ancient polar bear (when they were closely aligned to the brown bears). Media use of white polar bears and “white” Yetis merely created confusion. 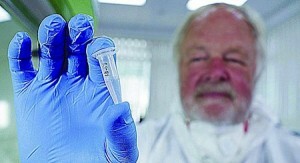 Other DNA findings related to the “Zana” skull being descended from Africans, and the gathered Bigfoot hair samples being nonprimate were also part of Sykes’ results. 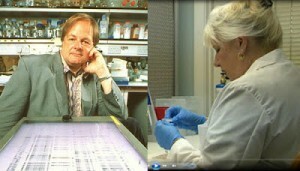 For more details on the Skyes’ Yeti, Almasty, and Bigfoot DNA results and stories, see here, here, here, here, and here. Hobbits are real. 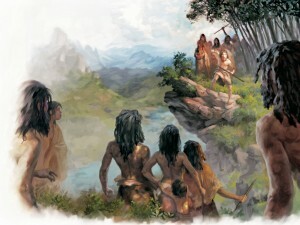 And it changed the landscape of our thinking about our coexistence on Earth with other hominids. Since the discovery of Homo floresiensis, the “Hobbits” of Flores, Indonesia, in 2003, thoughts of the actuality of little people have shifted in human consciousness to a real possibility. During 2013, two incidents occurred to continue this heightened awareness. Rangers patrolling the Way Kambas National Park in Lampung, Sumatra, reported sighting dozens of pygmies in a number of areas across the park. They were described as pygmies with dreadlocks, being only 20 inches tall and naked. Details, here. 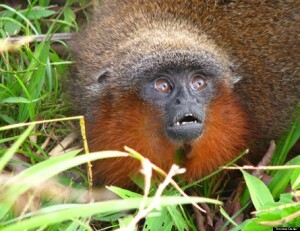 Elsewhere, there was a new sighting of a Botswana, Africa’s little hairy hominoid. More, here. Encounters between Denisovans and humans appear to have occurred in Asia, as imagined here by artist Jon Foster. They also included meetings with a new mystery hominid. 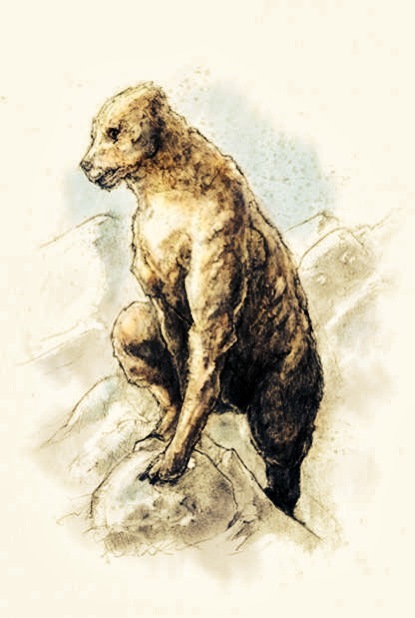 Since 2010, one of the most fascinating and tantalizing stories in cryptozoology and hominology is the expansion of the recently discovered “mystery human” Denisovan remains and genetic materials to areas beyond the initial discovery spot in the Altai Mts of Mongolia (a region that has ancient traditions about hairy wild men documented as early as the 5th century BC). Denisovan remains and DNA has now been found in Australia, New Guinea, and Spain. This means, in terms of anthropological thinking, as of early 2013, it was acknowledged that there were at least 3 species or subspecies of Homo sapiens: Cro Magnon, Neanderthal, and Denisovan. (That’s not to mention the Hobbits too, by the way.) No one knows when or how they disappeared. Or if did they? In 2013, it was discovered in the updated genome sequences from Neanderthal and Denisovan (two extinct relatives of modern humans, both 30,000 years old archaic groups) had bred with humans and with each other more extensively than was previously known. But also, of interest to us, the results showed that interbreeding included an as-yet-unknown human ancestor from Asia. 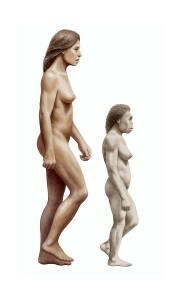 The identity of this unknown population of humans is fruit for much speculation in hominology. “We don’t have the faintest idea [who these hominoids were],” says Chris Stringer, a paleoanthropologist at the Natural History Museum in London. He speculates that the population could be related to Homo heidelbergensis, a species that left Africa around half a million years ago and later gave rise to Neanderthals in Europe. “Perhaps it lived on in Asia as well,” says Stringer. More, see here, here, and here. During 2013, the August 25 sighting in Loch Morar, Scotland, may have been the biggest surprise, as it possibly demonstrated a resurfacing of Morag. 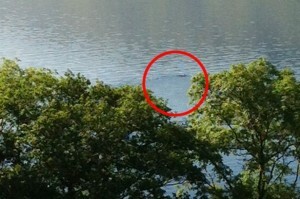 Other sightings occurred in Loch Ness, Lake Champlain, and off the Coast of Maine. See, here and for more on Champ Camp, here. The ability to see the entire Tim Dinsdale’s Loch Ness film footage occurred for the first time on the Internet in 2013. See here. Additionally, divers investigated reports from an extremely cold Siberian lake of a monster. More, here. 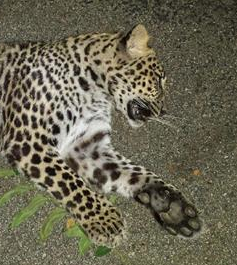 In one of the more surprising “dead body” discoveries of the year, a dead Indiana bobcat was positively identified as a leopard. More, here. Meanwhile, it was another year in which more dead animals – a serval, a raccoon dog, a whale, to name a few – were initially described as mystery beasts, monsters, or cryptids. More, here. The Unusual Suspects: “Bigfoot Hunters”? A year after the first recorded human death of a person dressed up as a Bigfoot occurred (Randy Tenley, Montana), 2013 followed up with news of a person being shot as their group was hunting Bigfoot in Catoosa, Oklahoma. Television programing about seeking Sasquatch has become so popular, it is a wonder that more accidents like this don’t happen routinely. For more details, see here and here. It was Shark Week. It was the Discovery Channel. This had to be real, right? 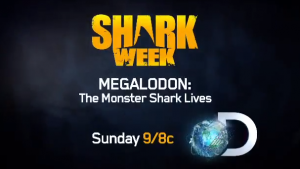 Hot on the heels of 2012′s “mermaid documentary” that was actually a fiction film, 2013′s followup was a supposed “documentary” entitled Megalodon: The Monster Shark Lives. Large portions of the viewing public apparently missed the disclaimer at the end of the movie. More, here. There was also a video showing an eagle picking up a child that was a school project hoax that received too much attention. See, here. Idaho State professor Jeff Meldrum spent two weeks this summer in the Russian Federation examining evidence of an Asian unknown hairy hominid, with Moscow investigator Dmitry Pirkulov. 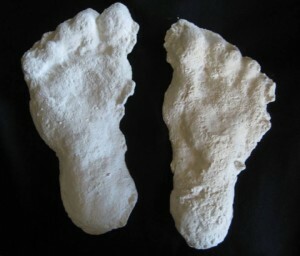 He made copies of the 17-inch footprint cast from the North Caucasus. See more, here. This Siberian Snowman (illustrated above), which was individually named Mecheny by the eyewitnesses, is the Harry Trumbore drawing in The Field Guide to Bigfoot and Other Mystery Primates. Additionally, in contrast to late year news of Dr. Meldrum’s trip to Russia, my fieldwork in the Midwest, or Dr. Sykes’ findings, 2013 began with the confusing state of affairs brought on by Dr. Melba S. Ketchum’s “Bigfoot DNA Study” results. In an era of selfies and self-published books, perhaps not surprisingly, veterinarian Ketchum ended her five-year study of more than 100 DNA samples in a frustrating fashion by self-publishing her findings in a journal bought for her (see here). Most hominologists were cautious. Media reporters at first excitedly repeated her Bigfoot claims but soon, carefully, they too backed away. Then some of the citations turned out to be problematic (see here). It was not a good day for serious cryptozoology. 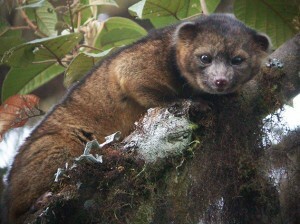 More good years are ahead, however, and more positive evidence will be found and new animal species will be discovered. Cryptozoology is making an impact. 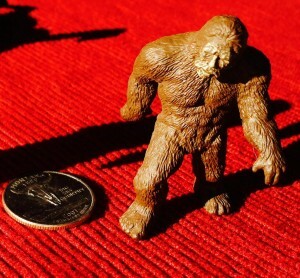 During December 2013, Safari Ltd® began shipping to museum shops and toy stores around the world their new “Cryptozoology Toob.” This single act signaled a new era in cryptozoology, an ushering into modern younger popular culture the study of unknown animals and the exercise of critical thinking to recognize related gaffs. 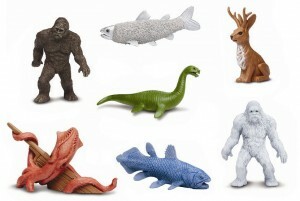 The seven figure toob dedicated to Cryptozoology contains the following: Bigfoot/Sasquatch (cryptid), Fur-Bearing Trout (fake), Jackalope (fake), Coelacanth (classic species of Cryptozoology discovery), Abominable Snowman/Yeti (cryptid), Giant Squid (classic species of Cryptozoology discovery), and Loch Ness Monster (cryptid). More information, see here. Our yearly selection has occurred, and we have picked for the Cryptozoologist of the Year: 2013 ~ Dr. Bryan Sykes. Adrienne Mayor, honorary Ph. D., United States of America, Fossil Legends of the First Americans (2005). Loren. THANK YOU SOOOOOO MUCH for posting an article in its complete context without 2 dozen hyperlinks that take you off to somewhere else. I dont even read them most of the time. I like to print things on paper and sit back and read them. My eyes start burning reading from a computer screen so much. And NO it has nothing to do with age. My eyes have always been sensitive to light. Too much vision purple maybe. I can see better in the dark then most can in daylight. A bright computer screens really fatigues my eyes. Much better to print it and sit back in the recliner or sleeping bag and read it. Thank you. Take care. Not a bad year for cryptozoology,all things considered. There were definitely some very exciting developments.